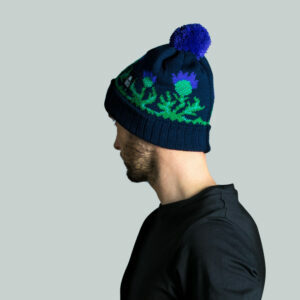 We’ve mixed purple and black wool together to create this unique blend in the hat. 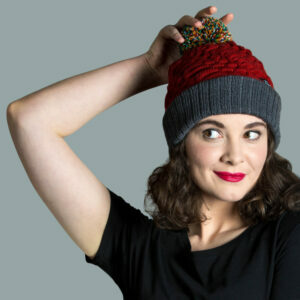 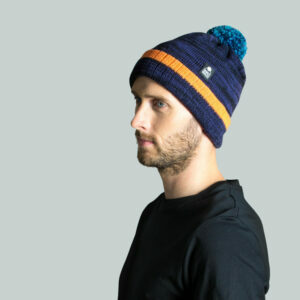 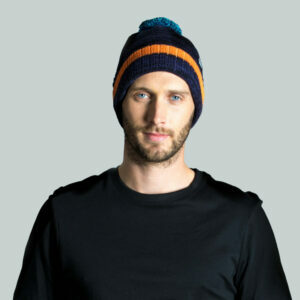 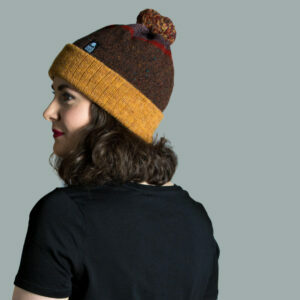 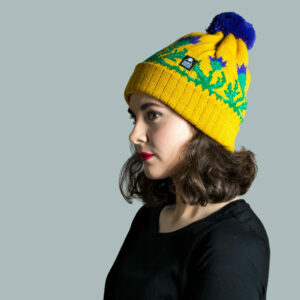 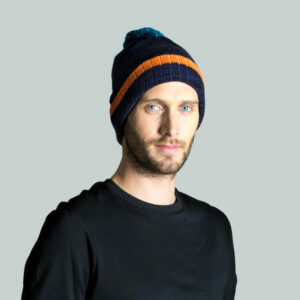 Contrasting with a bright orange stripe on the fold up rib section, it adds comfort and a vibrant pop to the hat. 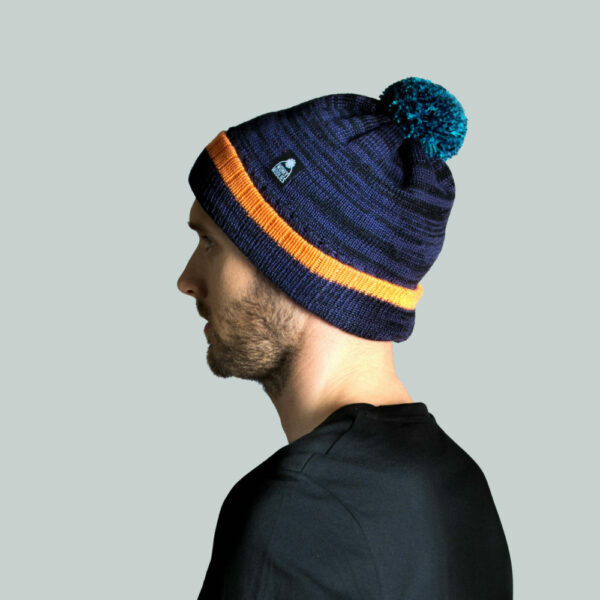 The soft wool pompom is a blend of blue shades which we sew on by hand to make sure it’s nice and secure. 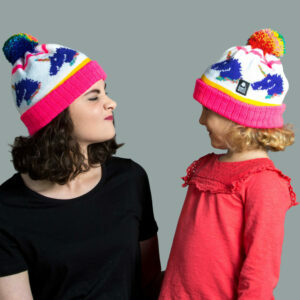 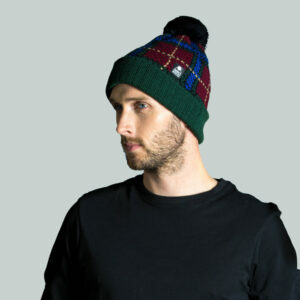 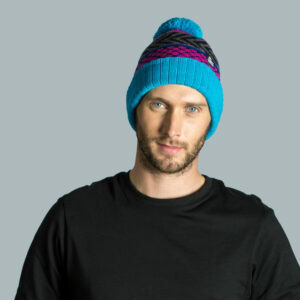 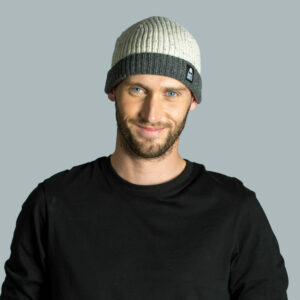 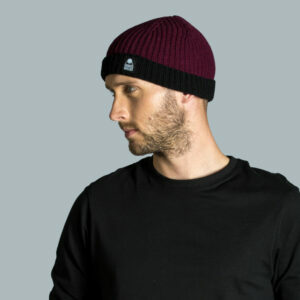 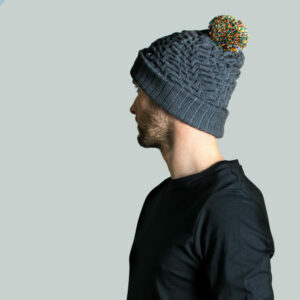 Knit with a double layer of wool throughout, this hat is great for active wear and will keep stop the wind from chilling your head. Merino wool is naturally hardy as a fibre and it’s also breathable, so it wicks away sweat while keeping you cosy and comfortable.